The great Webster Lewis joins Love Unlimited Orchestra for this nice mellow later album, one of the group's last good albums! Features the slowly funky "Welcome Aboard" – a tight mellow track with an excellent stepping groove that's nice and sweet. 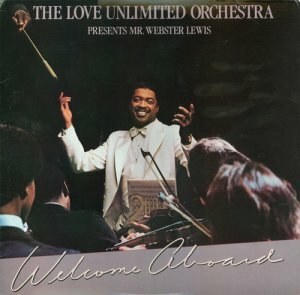 Barry White produced, and other tracks include "Easin", "Antigua Blue", "Strange", "Wind", "Dreams", and "Night Life In The City".